Heavy Woven Cotton (Canvas Weight) Panel with a Sword and Shield to cut out and sew. 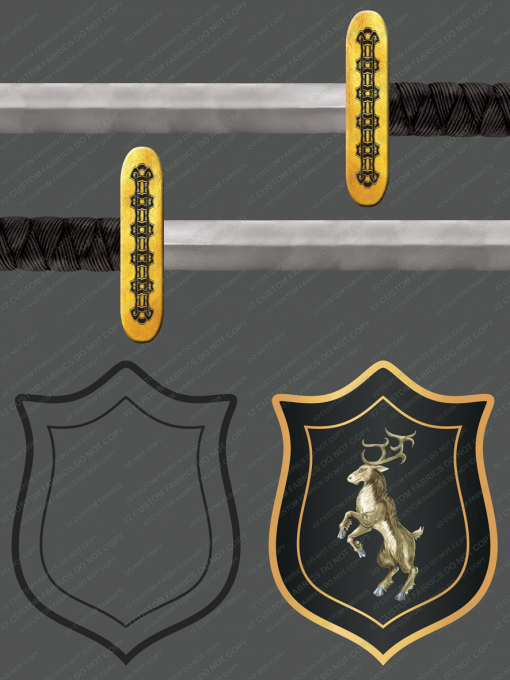 Five different heraldic animals to choose from. Designed to be used in conjunction with the Sword and Shield tutorial from Mother Grimm Patterns which you will receive for free with this panel. 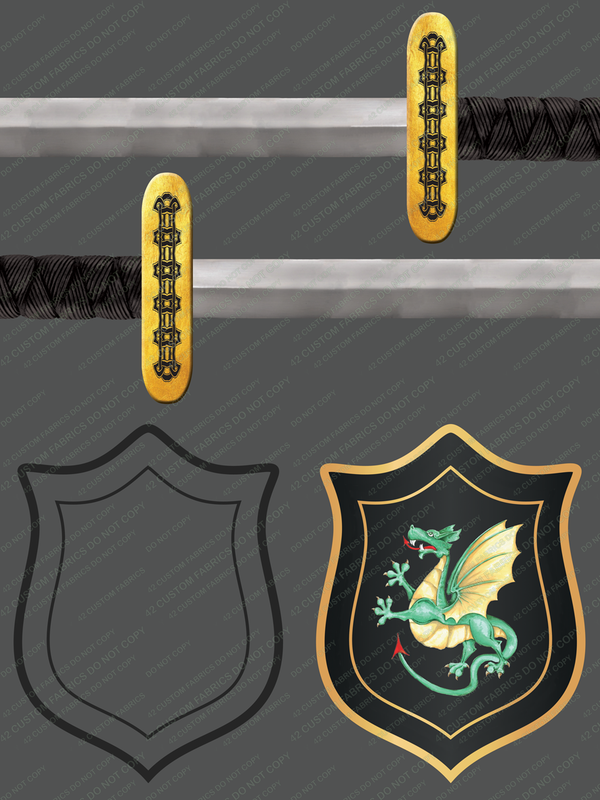 The Sword and Shield Pattern is a digital download that we will make available to you in the downloads section of your account area following your purchase.